In light of several decisions made by the Cape Henlopen School Board in Delaware this past year regarding their selected summer student reading, the board met on December 11 and approved a summer schoolwork policy which they hope will prevent future issues and controversies surrounding assigned reading materials. Board policy states challenges must be submitted to the school principal in writing with a request for reconsideration of library and instructional materials form available at the school office. The process includes a committee review of the material in question followed by a written decision sent to the complainant and other district officials. I am happy with the policy. I was mainly concerned that the policy did not specifically dictate which books are selected because I believe this is an individual teacher’s choice… My real concern is that our teachers and/or administrators are always mindful that the books they choose are age-appropriate for all students in that grade level or age group. 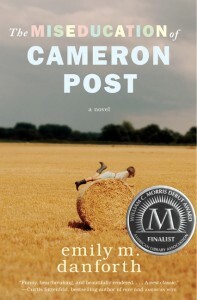 The controversy that initiated policy reform discussion pertains to the events surrounding the school’s removal of The Miseducation of Cameron Post from a high school summer reading list due to parental complaints over the book’s depiction of drugs and profanity, as well as featuring a lesbian protagonist. Without reading the whole book and completing a full review, to which the book was entitled, the school board unjustly pulled it from the assigned reading list in June. The ban escalated despite the work of advocacy groups (including CBLDF) and the LGBTQ community, who banded together to defend Cameron Post — instead, the school board simply eliminated the entire summer reading list. This act only incited further outrage over the way that the district was handling the issue and was one of the major contributing factors for reviewing and revising the existing policy. With the new policy in place, the Cape Henlopen School District has hopes that parents and community members will voice their concerns within the one month review period, thus averting the disruption of the classroom and students’ education. The success of this new policy, though, resides firmly on the shoulders of the community and parents’ proactive awareness of their children’s education and requires the school board’s adherence to the policy.